If your dishes come out of the dishwasher no longer sparkling and your washing machine is louder than it used to be, one of your first thoughts is likely whether it’s time for an upgrade. However, since major appliances can cost a hefty sum to replace, it’s wise to evaluate whether a repair can remedy the situation. Here’s what you need to know before deciding to repair or replace a major appliance. Age: The shelf life of a major appliance is impacted by how much it is used, how well it has been maintained, and the caliber of parts used in it. As a general rule, it’s wise to consider replacement of broken down appliances in excess of seven years old. Bear in mind that top of the line and antique appliances may be exceptions to this. Cost: If you’re quoted a cost of 50% or more of the appliance’s initial price, upgrading to a new appliance is a no-brainer. Manufacturer Guarantee: Before committing to a new appliance, verify that the appliance you’re intending to replace is not under warranty. This is why it’s critical to have a place within your home devoted to storage of appliance receipts and owner’s manuals. Malfunction: In some cases, the glitch in the appliance is a minor issue that doesn’t even require a maintenance call. Before determining a new appliance is needed, rule out obvious issues such as a tripped breaker. Oftentimes a quick web search will lead you to forums or videos from other homeowners that have experienced the issue you are. Warners’ Stellian, Minnesota’s appliance specialist, has a helpful appliance resource center with information on troubleshooting common appliance issues. Online Reviews: Seek out reviews from consumer watchdog sites that incorporate feedback from people that actually own it. Verify Dimensions: Double check that the appliance can make it through your home’s entryway to its final resting place. Stick with Neutrals: It’s highly unlikely that a trendy color you pick now will still be fashionable at the end of the new appliance’s lifespan. Required Accessories: Don’t leave the appliance store without verifying whether extras, such as an installation kit, are needed to get your new appliance up and running. 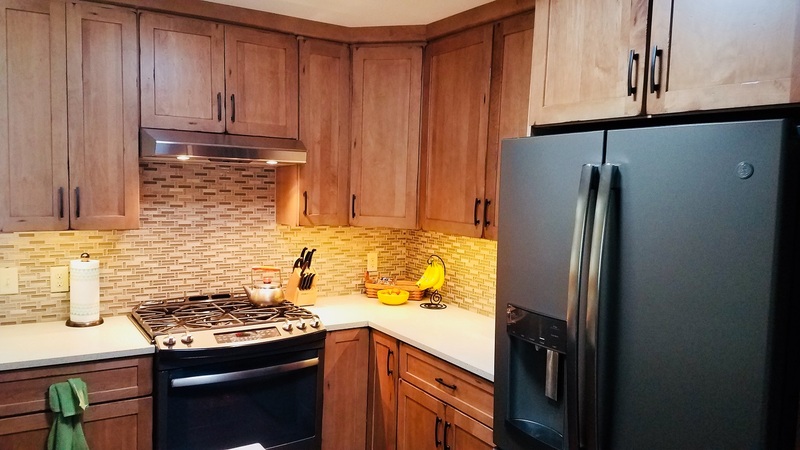 Inadequate storage, outdated finishes, and a compartmentalized feel caused this Shoreview, MN couple to reach out to our team for a complete kitchen renovation. "I could not be more pleased with the work done and the service provided. Lindus was very easy to work with and always responded quickly to my (many) questions. The windows look fantastic and turned my porch into the most used room in my house! I would not hesitate to hire them again and will definitely consult with them when I am ready to take on my next remodeling projects." - Susan R.